Alva Myrdal was a famous Diplomat from Sweden, who lived between January 31, 1902 and February 1, 1986. She became 84 years old. 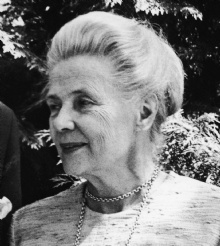 Alva Myrdal was a Swedish diplomat, politician and author. She was awarded the Nobel Peace Prize in 1982. She was married to Gunnar Myrdal, and is mother of Jan Myrdal. Alva Myrdal was first made ​​public in the 1930s, as co-author of the book Population problem in crisis, and is considered one of the main forces behind the Swedish welfare state. Having been a prominent member of the Social Democratic Party for several years, she was at the end of the 1940s involved in international work. In 1948 she was offered the position as head of the UN Department of Social Affairs, which she accepted. In the first half of the 1950s she led UNESCO's social science department in Paris, and from 1955-1961 she was Sweden's ambassador to India. In 1962 she was elected to the Swedish parliament, and became minister in 1967. 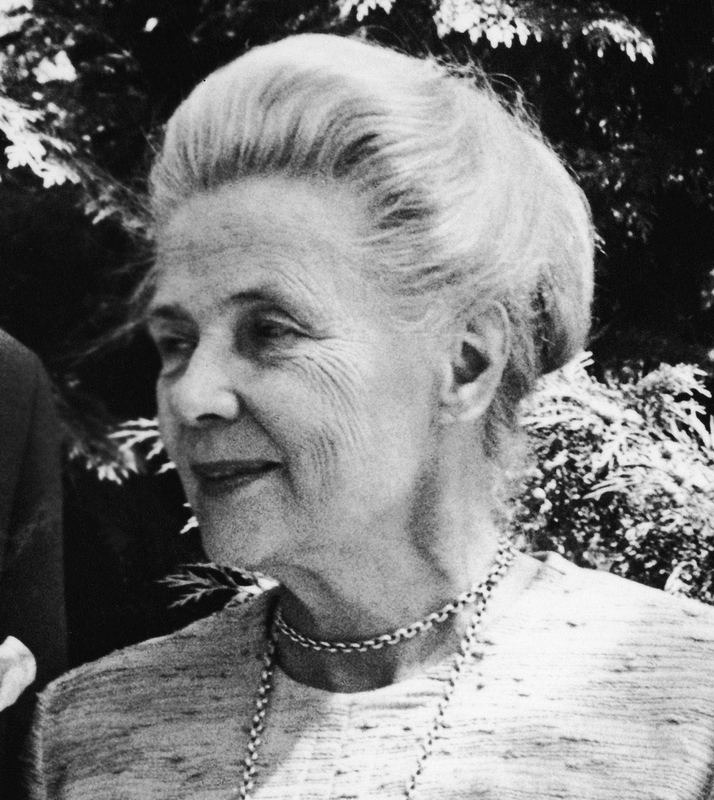 In 1982 Alva Myrdal awarded the Nobel Peace Prize along with Alfonso García Robles for his work in setting up the so-called Tlatelolco Treaty in 1969, which declared Latin America and the Caribbean as a nuclear-free zone. She is born under the zodiac aquarius, who is known for Knowledge, Humanitarian, Serious, Insightful, Duplicitous. Our collection contains 25 quotes who is written / told by Alva. "War is murder. And the military preparations now being made for a potential major confrontation are aimed at collective murder. In a nuclear age the victims would be numbered by the millions. This naked truth must be faced"
"More must be done in concrete terms in order to promote the cause of disarmament"
"It is frightening that in recent years such an increase has occurred in acts of terrorism, which have even reached peaceful countries such as ours. And as a "remedy", more and more security forces are established to protect the lives of individual men and women"
"The inventions and the great discoveries have opened up whole continents to reciprocal communication and interchange, provided we are willing"
"It is of the greatest importance that people and governments in many more countries than ours should realize that it is more dangerous to have access to nuclear arms than not to possess them"
"War and preparations for war have acquired a kind of legitimacy"
"The misconception that a victory can be worth its price, has in the nuclear age become a total illusion"
"I personally believe that those who are leaders with political power over the world will be forced some day, sooner or later, to give way to common sense and the will of the people"
"I have always regarded global development as a struggle between the forces of good and evil. Not to be simplified as a struggle between Jesus and Satan, since I do not consider that the process is restricted to our own sphere of culture"
"We can hope that men will understand that the interest of all are the same, that hope lies in cooperation. We can then perhaps keep PEACE"
"If only the authorities could be made to realize that the forces leading them on in the armament race are just insane"
"First and foremost arms are tools in the service of rival nations, pointing at the possibility of a future war"
"The longing for peace is rooted in the hearts of all men. But the striving, which at present has become so insistent, cannot lay claim to such an ambition as leading the way to eternal peace, or solving all disputes among nations"
"The age in which we live can only be characterized as one of barbarism. Our civilization is in the process not only of being militarized, but also being brutalized"
"My personal philosophy of life is one of ethics"
"I agree with the many who consider freezing all sorts of weapons systems a first step in a realistic disarmament policy"
"It does not just happen. It is disclosed by science that practically one-half of trained intellectual resources are being mobilized for murderous purposes"
"The world generally speaking is now drifting on a more and more devastating course towards the absurd target of extermination - or rather, to be more exact - of the northern hemisphere's towns, fields, and the people who have developed our civilization"
"The economic and political roots of the conflicts are too strong for us to pretend to create a lasting state of harmonious understanding between men"
"Many countries persecute their own citizens and intern them in prisons or concentration camps. Oppression is becoming more and more a part of the systems"
"All mankind is now learning that these nuclear weapons can only serve to destroy, never become beneficial"
"A great amount has been talked and written about what constitutes a sufficient balance and what really is meant by the concepts of "balance" and "deterrence""
"Where do these arms come from, these Saturday night specials that constitute the instrument of threats in bank robberies, or the hand grenades used by terrorists? How can their sales and their import be permitted?" "There is a cultural factor promoting violence which nowadays undoubtedly is highly effective is the mass media. And particularly everything that enters our minds through pictorial media"
"Nobel was a genuine friend of peace. He even went so far as to believe that he had invented a tool of destruction, dynamite, which would make war so senseless that it would become impossible. He was wrong"